So if you’ve read my first post in my new lifestyle blog section of my website, you would know how I got started using essential oils + how much I love them!! Check it out here if you haven’t already! If you want to know… what do you use oils for? Ummm for literally any and everything!! I use them to make my house smell nice, for handling emotions (good and bad ones! ), for my husband, dog, for cleaning the house... if you have a specific need in mind, please ask me if I think oils can help - my bet is that they can! I still have questions... tell me all the things! How should I start? Ordering a premium starter kit is the best way to dive in and learn how to use essential oils! It comes with 11 of the most commonly used oils + your diffuser. It really is the best value & provides you with everything you need to get started. I tell people that it is way more overwhelming to think about ordering it, than to just order it and have it in front of you to start learning! When I sign up, it asks if I want to be a member or retail customer. Which one should I choose? This part tends to confuse people-- always choose member! This does not mean that you have to commit to anything beyond the kit! When you receive your confirmation of order of the kit, it will welcome you as an "Independent Distributor"- this also does not mean that you have to sell them! 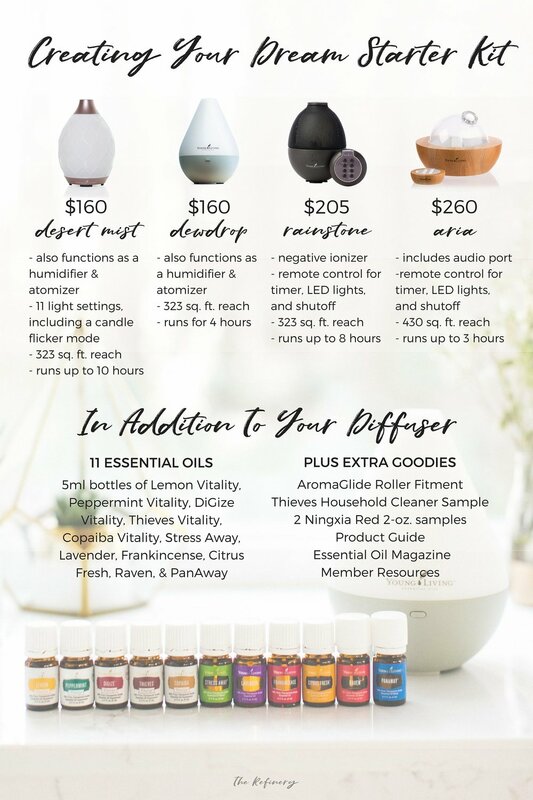 It is just the terminology YL has decided to use, my bet is because they know that most people can't help but share their love of oils with other people ;) but again- no hidden fees, no red tape to worry about with becoming a "member". Okay, what's the catch? Is there a minimum monthly commitment? Do I have to sell oils once I purchase my starter kit? No catch, promise!! Your kit can be a one time purchase, but along with it comes a wholesale membership, which just means that if you decide to purchase oils in the future, you will always receive a 24% discount! Just by purchasing the kit, you will also get a personal referral link in case you ever decide that you want to share them, but this is totally optional! YL also offers an amazing monthly rewards program, called Essential Rewards. This is a personalized monthly subscription box that YOU decide what you want each month, and you can earn reward points to redeem for free products. They also reward you with free oils just for spending a certain amount and for being a loyal customer! + The sense of community. + The insurmountable leadership and resources I have available to me. + and mostly, the fact that I don’t feel like I’m “selling” anything. I genuinely love and stand behind every single one of these products that I am using. I truly believe that they can help transform yours and your family’s life, and I wouldn’t be doing this if I didn’t feel that way. How do we use oils? Oils can be diffused in a diffuser (that comes with your kit! ), applied topically with roller bottles or by mixing them with a carrier oil yourself, and some oils from the vitality line can even be taken internally! Does Young Living only sell essential oils? Oh my goodness, no! YL has SO many products available to you. They range from cleaning products, to makeup, to an entire kids line. There are even products available specifically for your pets! Disclaimer: The statements in this post are based upon my research and personal use of Young Living essential oils and have not been evaluated by the Food and Drug Administration. Young Living products are not intended to diagnose, cure, treat, or prevent any disease. INSTRUCTIONS: Make sure the box that says member is checked. This does not mean that you have to sell oils (although you are given the opportunity to if you would like- just ask me how!). All this means is that you are getting a starter kit & will now receive 24% off retail prices for any future orders you make. Next is where you can choose to set up your Essential Rewards monthly autoship. I typically have my team members wait until after they have ordered their kit to sign up for this, as they often have lots of questions about it-- but once you order your kit, I highly recommend signing up for it to earn reward points to redeem for free products! You can select "continue enrollment" if you did not select this option right away and proceed with your order by entering in all of your information. When you order your starter kit, you will receive an email from me welcoming you to my team that will include a welcome packet with a run down on all the oils, some blend ideas, and more. 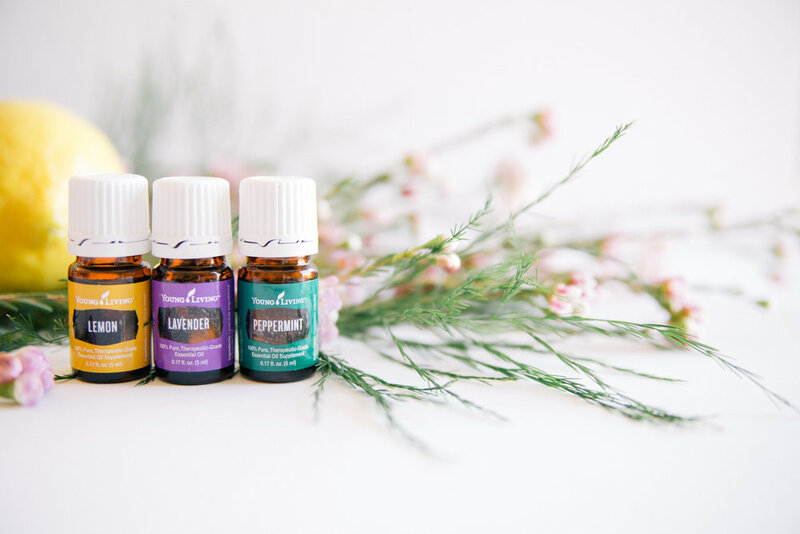 If you are on Facebook, you will also be added to some exclusive essential oils group to connect with other members and for an abundance of tips, tricks, and resources. If you'd like to chat with me before making your starter kit purchase, please fill out the form below and I will be happy to get back to you ASAP!